Be sure that all items that you have are REALLY necessary and functional. Probably there’ll never be too many topics about small spaces and advices for you. 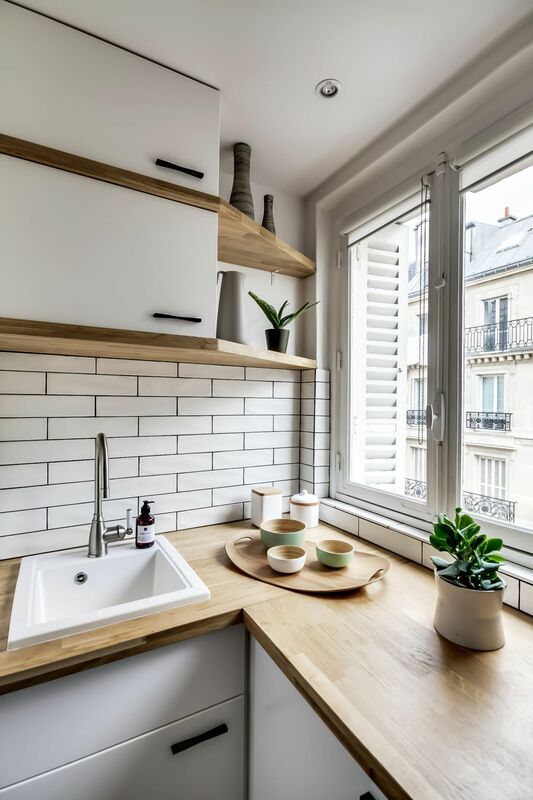 I personally like small spaces very much, therefore, I’m always looking for the ideas how to make them more convenient and optically larger. 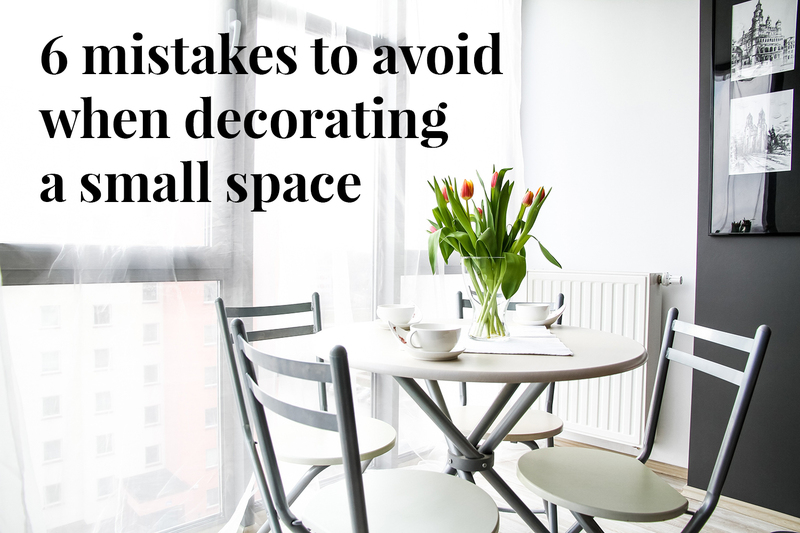 There’re several mistakes that new-settlers make when they’re establishing small spaces. 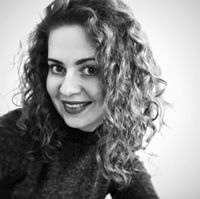 You should read below how to avoid these mistakes. 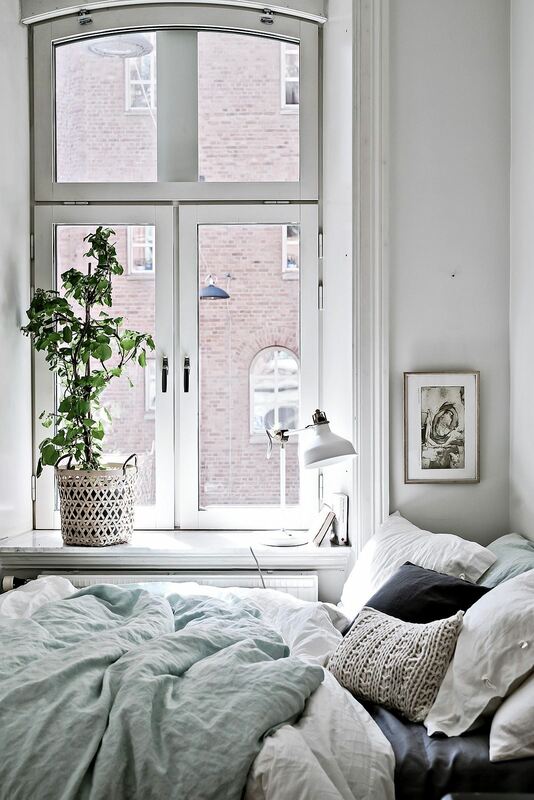 A natural daylight is a best friend of small spaces. Hang your mirror on the wall in front of the window so that it reflects the light and spread it among the space. Don’t blindfold the windows during the day. Use half-transparent curtains, blinds or a day-night roller blinds. Do everything so that the more light would come into your home. If there’s naturally less light (for example, a Northern part or something constantly throws a shadow), please choose the lighter colours for the walls and furniture. 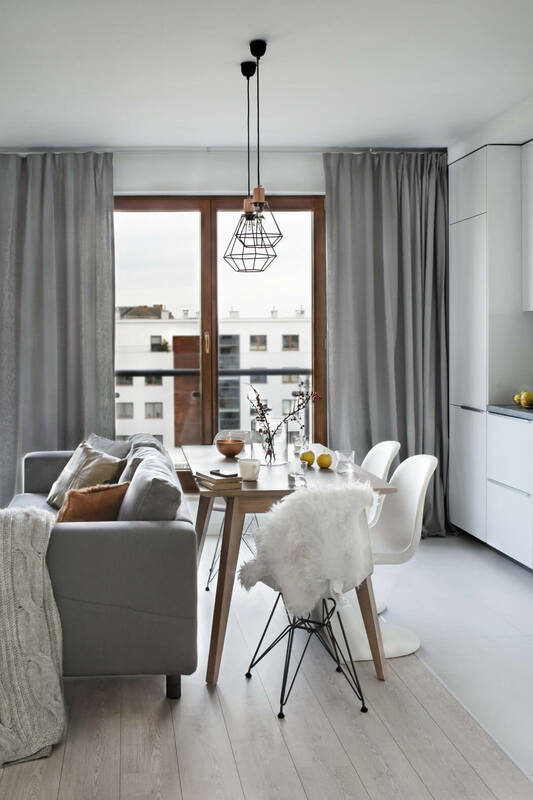 If your space is small, it would be a mistake to decorate each room or zone using different colours, topics or even style. Try to join all the spaces using the same colours and common stylistics. You should also avoid separate rooms. 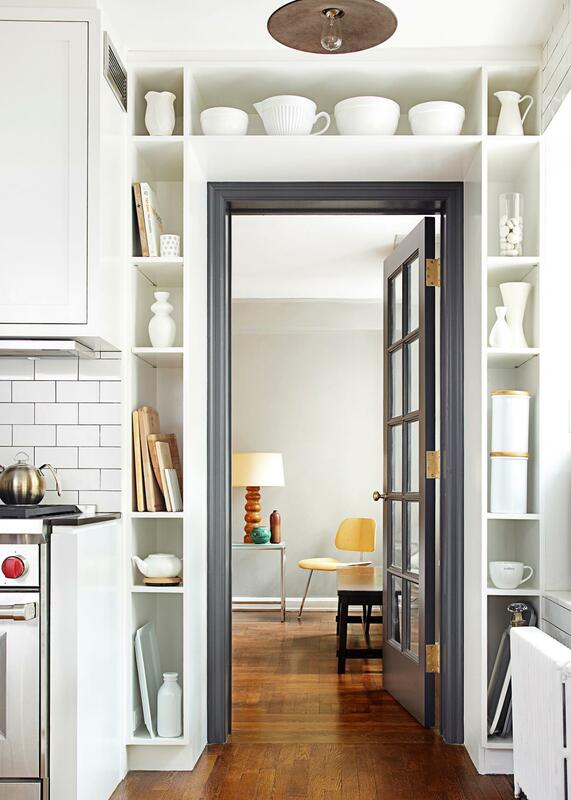 In this case the common space of a guestroom and a kitchen is better – your home will look larger in this case. One large room will pay off more than three small ones. 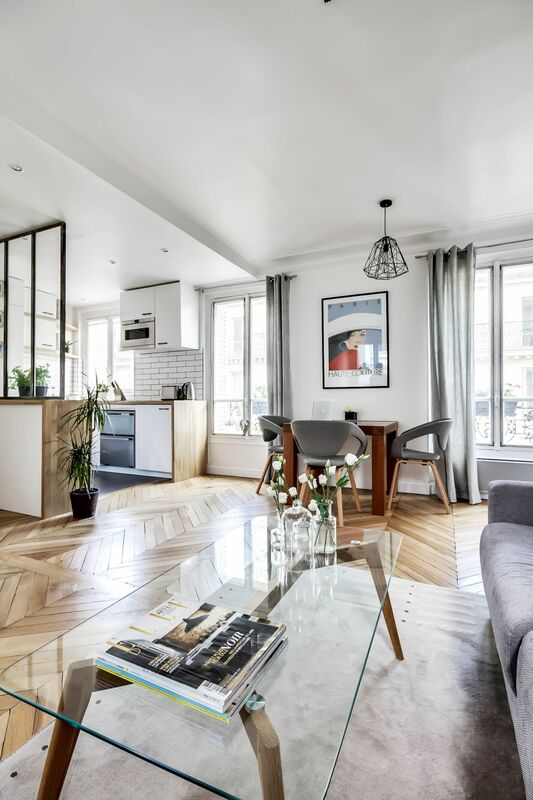 Be realists – if you have a small space probably there’ll not be enough space for a corner sofa, a dropdown table for 10 people, kitchen island with bar stools and a lot of cabinets. Look for ways out and compromises. Do you want a TV? Hang it on the wall, but do not put it on the TV cabinet. You want a night table next to a bed but the doors of the wardrobe will not open then? Use the space over or under the bed. There’re a lot of solutions for this! Probably you all agree that an overloaded table or a washbasin countertop in the bathroom not only looks disorderly but also makes the space look smaller. Be sure that all items that you have are REALLY necessary and functional. Why to buy 3 different devices for cooking if there’s one device where all 3 functions fit? Do you really need a toaster if you use it once in half a year? You can also roast a bread in a pan or in an oven. So that the space didn’t look smaller than it is please always hold at least minimal order. If you have very little space, you just have to maximize each space. Unless you have a few plates, two shirts and one pair of shoes. I think that already all of you have learned that kitchen cabinets should last until the ceiling. What else? 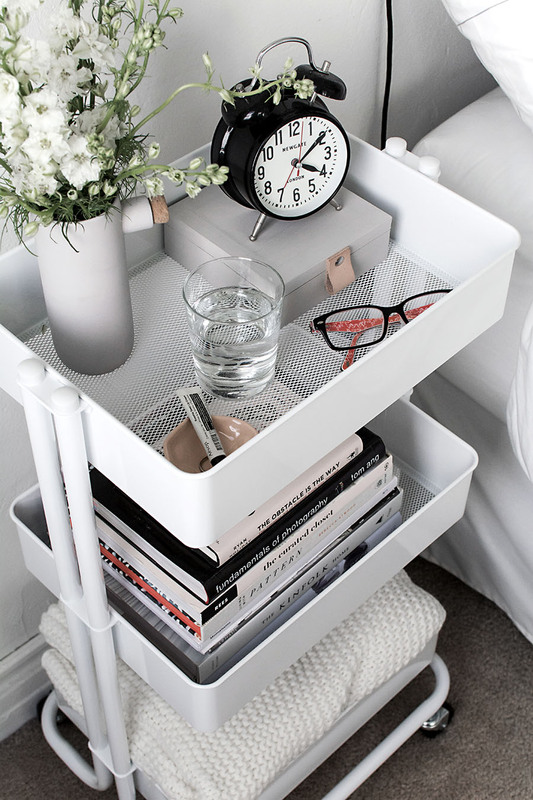 In a bedroom a table with a drawer and / or the doors is more functional than a simple side table where there’s no space even to put a book. There’re a lot of spaces where the space could be used more purposefully and not lost at the same time. If you have a small space it doesn’t mean that it has to be boring and safe. 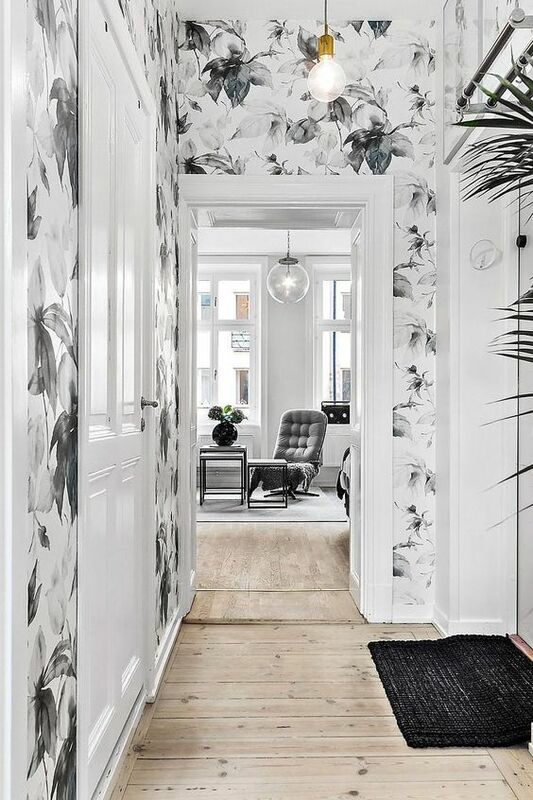 Of course, the most simple solution would be to paint all walls in white, to choose all the pieces of furniture light and the ground of bleached oak. A huge possibility that such space will look boring eventually. Sometimes the paint of one wall in dark pays off – it brings depth. Sometimes a bright picture or the colour of the sofa can change the whole room. Please listen to your intuition and don’t be afraid to experiment. Sadly, I don't know where to purchase these wallpaper.